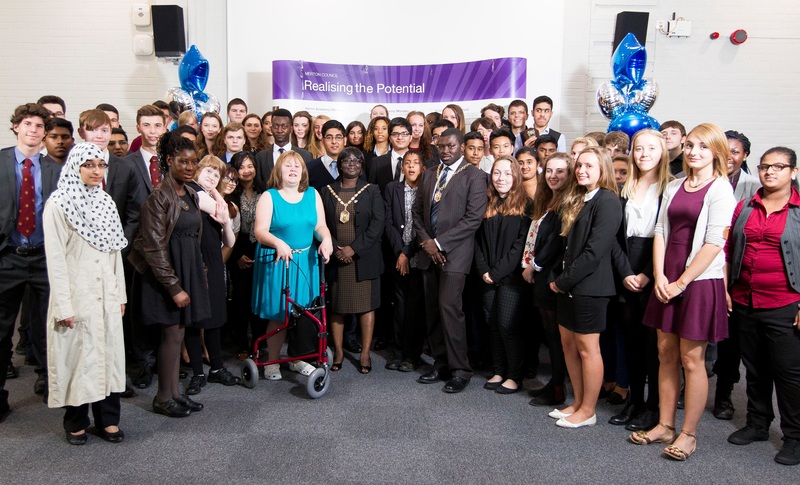 Merton’s top achieving students at GCSE and post-16 were lauded at a Top Achievers event attended by the Mayor of Merton. Having achieved the best ever exam results, Merton Council was delighted to announce and celebrate yet another year of improving results. A record breaking 66% of students achieved 5+ A*- C GCSE grades including English and Maths, up 4 percentage points on 2013 and 18% over the last five years. The Mayor, Councillor Agatha Akigyina, Cabinet Member for Education, Councillor Martin Whelton, and representatives from Merton Council, students, staff, parents and carers gathered together to celebrate and recognise the achievements of the young people of Merton and congratulate them on all their hard work. There was representation from the borough’s secondary and special schools. The schools who attended the event were: Perseid School, Cricket Green School, The SMART Centre, Harris Academy Morden, Raynes Park High School, Ricards Lodge High School, Rutlish School, St Mark’s Church of England Academy, Ursuline High School and Wimbledon College.